Dr. Lisa Kellett of DLK On Avenue was born with leadership qualities. 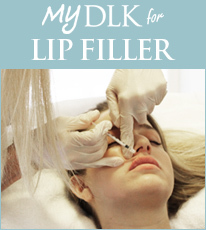 Enthusiastic and passionate, Dr. Lisa Kellett, the accomplished dermatologist who heads up DLK on Avenue, always uses a high degree of precision when providing her ever-growing clientele with a range of services that have made her the reputable leader she is in a male-dominated industry. And having built a solid reputation on the personal attention she affords every single person who sets foot in her clinic, Dr. Kellett has seen her credibility in the field of cosmetic surgery soar. Currently, the clinic offers a range of services to address a variety of skin-related concerns, such as acne, rosacea, scars, stretch marks, sagging skin, brown spots, spider veins, wrinkles/fine lines, precancerous spots, moles and birthmarks as well as sun-damaged and photo-aged skin. Furthermore, Dr. Kellett is planning to add to the clinic’s roster of services by introducing a specialty service aimed at spot-fat reduction for stubborn areas such as the hips or stomach, which would target these often cited areas of discontent in a non-surgical way. Always searching for ways to be innovative, DLK draws on several key factors to provide impeccable service and effective treatments that combine the best of traditional medical treatments and the latest advancements in innovative technological therapies. Dr. Kellett explains that her clientele which are middle class and up, 65 per cent of women and 35 per cent men – are people who don’t necessarily want to undergo invasive procedures like plastic surgery. Instead, they’re people who’d like to improve their image in order to exude greater confidence and personal contentment. “We’re entirely devoted to non-surgical procedures, and my vision has always been to concentrate my practice on helping people achieve a fresher, more rejuvenated version of themselves. It’s a quality of life issue, because when you feel better about yourself, you’re more positive,” explains Dr. Kellett. Yet as passionate about her career as Dr. Kellett is, she’s also very passionate about being a great mother to her two daughters and her son, who are between the ages of three and seven. What’s more, she’s just about ready to deliver her fourth child. Sharing what success means to her, she says, “Success is doing something you’re very passionate about, and making people happy, so choose the things you want to be great at and do them.” Undoubtedly, that’s exactly what she’s doing.